Atlas, and it was reactivated as a project at Convair. 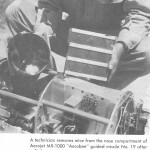 April 18: Beginning on this date, several Aerobee rocket launches with USAF Aeromedical Laboratory biomedical experiments were launched at White Sands, New Mexico. The flight profile was 45 secs of 3-4 G followed by 150 secs of 0 G.
April 18, 1951: The first Aerobee rocket with the monkey, Albert V, was launched. He died after a parachute failure. September 20, 1951: Albert VI (Yorick) and 11 mice survived after a flight to 230,000 ft. The monkey and two of the mice died after two hours due to hyperthermia while awaiting recovery in the New Mexico desert. 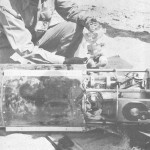 May 21, 1952: Aerobee launch to 85,000 ft with two cynomolgus monkeys (Patricia and Mike) and two mice, who all survived. This was the first primate survival. Following these flights, the USAF canceled any further suborbital animal research flights as there was “no future for such efforts”. May 15: The Council of the Aero Medical Association formally approved the creation of the Space Medicine Branch. This was the first constituent organization to be formed.
. Eighteen charter members attended and 20 new members were elected. Dr. Paul Campbell was elected President and Dr. Strughold was elected Secretary. Attendance: Harry G. Armstrong, E. J. Baldes, E. R. Ballinger (guest), Dietrick E. Beischer, Otis 0. Benson, Jr., R. J. Benford, Howard W. Blakeslee (guest), Paul A. Campbell, Loren D. Carson, P. H. Evans (guest), Herbert F. Fenwick, Don Flickinger (guest), A. Pharo Gagge, Charles F. Gell, Ashton Graybiel, Victor Guillemin, Jr., Fritz Haber, Fred A. Hitchcock, M. M. Kalez, Wilbur E. Kellum, G. J. Kidera, Charles F. Lombard, John P. Marbarger, J. B. Poppen, Herman P. Roth, Herman J. Schaefer, Benjamin J. Strickland, Jr., Hubertus Strughold, Kenneth S. Scott, Arnold D. Tuttle, Clayton S. White, Frederich S. Wolf, W. H. Whitehaven (guest). October 4: Mikhail Tikhonravov in the U.S.S.R. stated that Soviet science makes space flight feasible including the creation of an artificial Earth satellite. November 6-9: The School of Aviation Medicine and the privately financed Lovelace Foundation for Medical Research at Albuquerque, NM, sponsored a symposium entitled “Physics and Medicine of the Upper Atmosphere” in San Antonio. 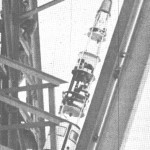 The material presented by the 44 speakers covered the nature of space, the mechanics of spaceflight, and the medical difficulties of sending a man beyond the breathable atmosphere and was later published as a book. It was at this 1951 meeting that Dr. Strughold expounded on his most notable contribution—the concept of “aeropause,” a region of “space-equivalent conditions” or “atmospheric space equivalence.” The term “aerospace” originated from this concept and came into use following this meeting. Strughold pointed out that while many astronomers, astrophysicists, and meteorologists set the boundary between the atmosphere and space at 100 to 600 mi from Earth, the biological conditions of space begin much lower, at about 50,000 ft. Strughold contended that the distinction between space and atmosphere was artificial and misleading, at least as far as human biology was concerned. For this reason, he argued that manned spaceflight was a natural extension of aeronautical flight, and space medicine was a logical extension of aviation medicine. Biomedical investigations into the human factors of spaceflight, he concluded, must be an extension of the knowledge already gained from aviation medicine. The proceedings were later published as a book. Ref – White CS, Benson O. University of New Mexico Press, 1952. During 1951 the Air Force initiated development of a liquid rocket engine of 120,000 pounds thrust (XLR-43-NA-3). Haber, H, Gerathewohl, S J. Physics and psychophysics of weightlessness. Strughold, H, Haber, H, Buettner, K, Haber, F. Where does space begin? Functional concept of the boundaries between atmosphere and space. JAM 1951 22: 342-349, 357.